In that tiny, hard to reach cabinet above the refrigerator, I stash the practically empty bags from potato and tortilla chips. Yes, we do occasionally receive bags of chips. These are most often freebies to us, either through a Friday Freebie coupon from Fred Meyer, or as a leftover from the fundraising luncheons for which I serve. 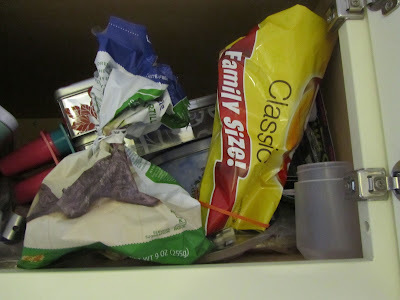 Today, my cupboard is hiding a bag of potato chip crumbs and a bag of blue corn tortilla chip bits. I keep these bags in this seldom used cabinet as they are less likely to be found, being out of the main pantry area of the kitchen. If they are not found, then no one will mistakenly think they are empty and trash them. Even in my frugal home, someone could toss out perfectly good potato chip crumbs. The nerve! Why on earth would I hang onto the crumbs? These crumbs and bits make great toppings for salads and soups, in place of croutons. And as I don't buy croutons, having the crumbs on hand means that I don't have to go to the trouble to make croutons as often. No waste and it saves time. Potato chip crumbs are also an awesome topping on some casseroles! I was going to suggest the same! I do love potato chips on to of tuna casserole. That may be one of the few toppings that I like on that dish. It sounds so very thrifty to save the crumbs, doesn't it?! Yeah for the crumbs! Although our crumbs are not from chips since we rarely have them, they are more from crackers. Also, the last of the bread that nobody wants. I always need crumbs--meatloaf, a crunchy topping to a casserole, meatballs. Yesterday I needed cracker crumbs to make home made pigs in the blanket. The sausage filling needed the crumbs. I have a container in the freezer that all crumbs go into so the variety in that container changes all the time since new crumbs gets added all the time. I cleaned out my fridge the other day and I had to throw out two partial bottles of liquid flavoring to drizzle over snow cone shredded ice. We haven't used it for 3 1/2 years in this house and a couple of years in the old house. Why did I save it? I don't know but it had solidified and so now I threw it away. I remember buying it at the end of the season so I know I didn't pay much for it. I still have the ice shaver so if we ever want something again we'll find something to flavor it with. Back when my kids were smaller and we went through a lot of graham crackers, I saved the crumbs from those in a large jar. I would use these as a "crust" under pudding. It was really pretty good. Sometimes there would be cookie crumbs in there, too. That's a shame about the sno-cone flavoring. My guess is that you don't waste very much of anything, so every once in a while, if you have to toss something, you're still doing really well. Also, once crushed, these are great for baked, homemade chicken strips aka "fingers." Oh! I bet they do make good crumbs for those. I haven't made chicken strips in years. I think my family would enjoy them. Thanks for the suggestion! 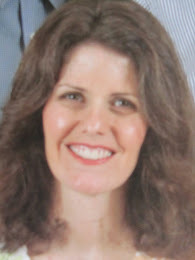 Have a wonderful day, Carol! Chips of various kinds do make great toppings. However, here, we don't have many leftover crumbs. First, some one gets a spoon and eats what is getting too little to pick up with your fingers easily. Next the bag gets turned upside down and the rest of the crumbs get poured into their mouth. Chip bags around here get cleaned like the meat bones-clean and shiny. Rarely do we have any bits left of either meat or chip crumbs to add to something else. Oh, now that is too funny!!! I think this may be due to the number of men in your household? Especially the meat bones. So you can definitively say there is no waste in your household! Have a nice day, live and learn! The clean bones are definitely related to the males in the household. Sometimes I microwave or bake chips and crackers to make them crunchy and taste fresh again. I grew up near the coast in So. Calif, so when crackers or cookies went "stale" this is what I thought was meant, they became soft, from the humidity. And then I lived in Utah for a few years, and crackers didn't become soft, but became even more dried out and crumbly. I'm back where the humidity turns crackers and cookies soft, now. As a young teen girl, interested in baking and cooking, I never understood the difference in what "stale" meant based on where you lived. A great idea to microwave them. I sometimes would pop crackers into the toaster oven to crisp them up. I had never thought of saving the crumbs for what has been suggested. Neat. I had always tossed the crumbs to a couple of resident, exceptionally polite raccoons. Once the big chip were gone it seemed the fun was over. Live & learn. You have a couple of very lucky raccoons in your area! When we first moved into our current house, we were charmed by the "cute" squirrels. So, we would spread peanut butter on graham crackers to feed to them. Those "cute" squirrels must have told all of their friends; before we knew it, we had not-so-polite squirrels standing on a patio chair that was up against a window, "knocking" to remind us -- it was time to bring out the treats. We even had a squirrel come into the house, once! The memories! At least the wildlife provides almost free entertainment. Have a good day, tbeaux! We have a squirrel with no tail we've nicknamed "stubby". He's been around a couple of years and this year we started spreading peanut butter on the tree as high as we could reach. It is fun to watch them nibbling that off. My cats enjoy watching them also but they don't chase them around when we let them outside and they don't get too close either. Must be they're fun for the cats to watch also. 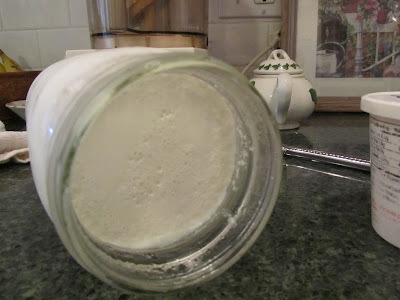 I have avoided the bottom of salty treats like the plague thinking "all that salt", but I could begin to save it with the "leftover flour" (gathered from newspapers that are placed under the cutting board used to roll out flour dough) that is already in our freezer. Good idea to save every bit period, no matter if we're talking crumbs lol I think the gift here is this small humble action helps to frame our mindset to be careful with everything in our daily life, from the largest expenditure/investment to the smallest crumb, literally. It won't take too much more effort, especially when it is adopted as another habit. The savings are pennies, but over time pennies do add up. I love the idea; however, my crowd doesn't leave crumbs in chip bags...lol. However, I do understand the sentiment totally. Every little bit can be used. you can talk portable refrigerator to go any where from your holiday home, the portable refrigerator manufacturers are keep in mind and made the refrigerator which is convenient to peoples.